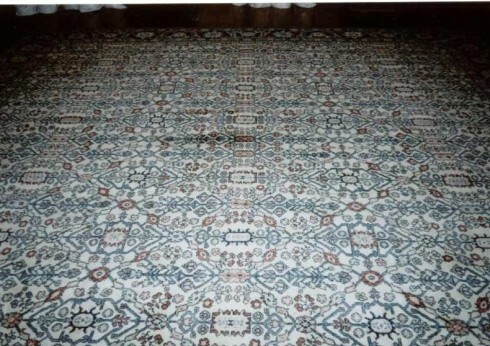 THE INDIAN RUG -Indian Rug antique perfection and finest wool. It has been said that the practice of carpet weaving in India was first introduced as far back as the eleventh century during its first occupation by Muslim conquerors from the Middle East. Yet, its history can better be traced to the sixteenth century, at the beginning of the Mughal Dynasty, where Indian artisans came to adopt many of the Persian rug weaving techniques and designs. The story begins with Babur, a descendant of Genghis Khan, who reigned as the first Mughal emperor over the Indian subcontinent. While living there, he longed for the luxuries his family had enjoyed in Persia, and often spoke of his desire to bring the art of rug weaving to the areas surrounding his palace in Agra. It was his son, Akbar, who listened to these anguished yearnings, and after his father’s death in 1530, he quickly began to establish carpet weaving centers in the Indian cities of Agra, Delhi and Lahore. 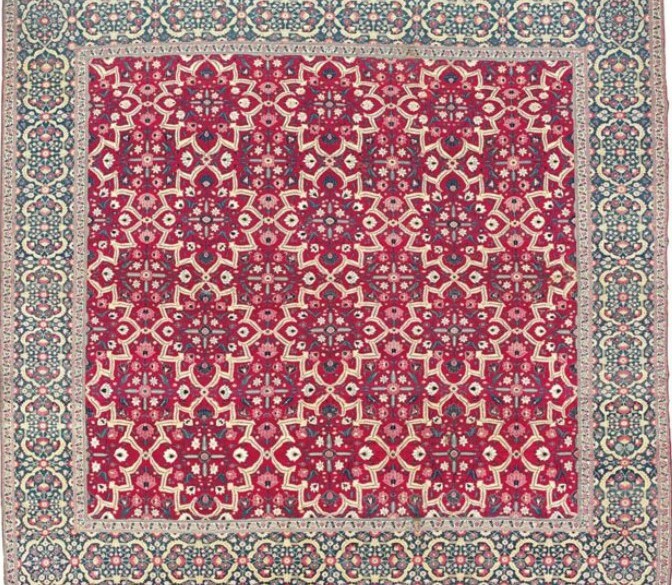 Initially, their designs were deeply inspired by the Persian tradition, exhibiting all of the knotting techniques, motifs and colorings inherent in Kirman, Kashan and Esfahan carpets. Over time, however, as the ruling leadership changed hands, and the Indian people began to develop and implement their own style into the rugs, the Indian rug began its evolution toward designs that featured characteristics more native to the region. Consequently, the practice has experienced a tremendous amount of change over the centuries, enduring periods of varying degrees of workmanship and quality of materials. 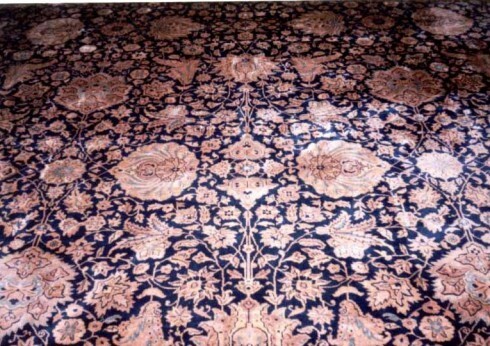 Nevertheless, Indian rugs and carpets are still considered some of the most technically and artistically valuable pieces among their antique contemporaries. The same can be said of modern Indian rugs as well, as evidenced by the country’s export of $190 million worth of carpets to the United States alone in the year 2000. The Indian rug’s attention to detail and overall presentation of both realistic and geometric designs are what gives this particular carpet its intrinsic beauty. Weavers in the country are renowned for their high density knotting, some rugs containing 4224 knots per square inch, and built atop a solid pile with extraordinary materials that include silk, rayon, chenille and the area’s finest wool. Though most of the centuries-old designs are difficult to differentiate from their Persian counterparts, modern Indian rugs vary from scrolling vines and floral patterns, complex calligraphic configurations, native animal and bird species, as well as elaborate geometric designs. 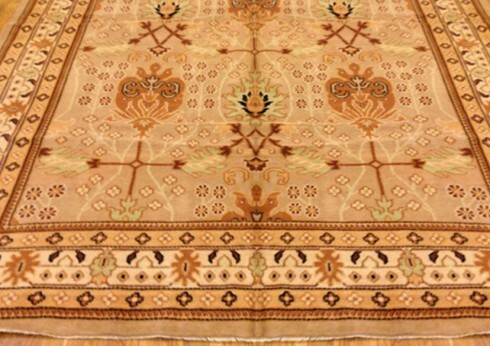 Dyes often utilized in Indian rugs are mostly obtained from natural sources, dependent upon the quality of the manufacturer and the traditions of the weavers themselves. They include many of the standard shades found in Oriental rugs, varying between the darker and lighter iterations of blues, greens and amber yellows, as well as sometimes featuring multiple shades on a single piece. Frequently, they are woven above a red or peach base, and have been said to resemble the same quality found in paintings once completed. So described, it certainly encourages those who have yet to come across the work of Indian weavers to explore one of the more enthralling rugs in history.